SUWANEE, Ga., Sept. 7, 2018 /PRNewswire/ -- ARRIS International plc (NASDAQ: ARRS) today announced that the ARRIS DSR-7412 transcoder, and DSR-4470 receiver decoder have been selected by HBO Latin America for its content distribution network. The ARRIS DSR-7412 and DSR-4470 will significantly reduce network bandwidth requirements while creating a new pathway for advanced services. Both devices feature HEVC compression and DVB-S2X modulation that increase the video capacity of satellite transmission channels and improve existing video service fidelity. The ARRIS DSR-7412 transcoder offers a new level of density and extensibility to modernize service delivery, with processing power for up to 12 services—in both HD and SD—in a single rack unit. Its statistical multiplexing enables HBO Latin America to efficiently deliver services through its existing QAM networks. The DSR-7412 multi-tuner capability can also simultaneously receive and process up to four input satellite transponder multiplexes, for flexibility in service selection across networks. 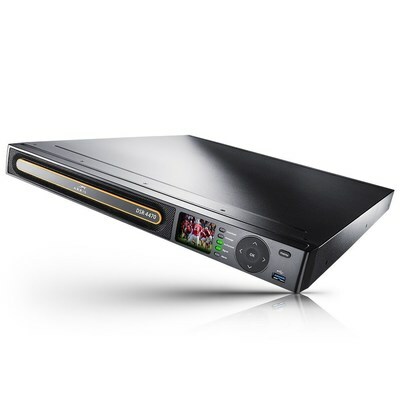 The DSR-4470 decoder complements these features with support for the latest HEVC video as well as legacy MPEG-4 and MPEG-2 streams. ARRIS Global Services will support HBO Latin America in designing, integrating and installing the new technology framework within its new satellite infrastructure. Together, they will also deploy the ARRIS Broadcast Network Controller 3.8 management system to remotely provision the DSR-7412 and DSR-4470 IRDs capabilities. "HBO Latin America continues to invest in providing our audiences the best entertainment experience. We chose the ARRIS DSR-7412 transcoder and DSR-4470 decoder to lead our next phase of network development, because they will enable us to deliver today's most demanding services and prepare us for tomorrow's advanced experiences," said Emilio Otermin, SVP Technology and Operations, HBO Latin America. "ARRIS is a trusted partner and helps us leverage the latest technology to deliver the future of entertainment to our subscribers." "We designed the new DSR-7412 transcoder receiver to bridge the gap between the next era of entertainment services, today's networks, and a massive installed base of legacy set-tops," said Dan Whalen, President, Network & Cloud, ARRIS. "Our work with HBO Latin America extends our leadership in advanced video network system deployments. It highlights our expertise in integrating the latest bandwidth efficiencies and compression technologies with our customers' vision for the future." Visit ARRIS at IBC in Amsterdam, Sept 14-18, Hall 1, Booth #19 to learn more about the DSR-7412. HBO Latin America is the leading premium, subscription-based, television network in the region, recognized for the quality and diversity of its programming. Featuring exclusive original series, films, documentaries and specials, the network is also the place to see some of the most recent Hollywood blockbusters before they appear on any other premium channel. The content is transmitted in HD in more than 40 countries throughout Latin America and the Caribbean through the channels HBO®, HBO2, HBO Signature, HBO Plus, HBO Family, MAX, MAX Prime, MAX Up, and the ad-based Cinemax® channel. Its programming is also offered across multiple platforms, such as HBO GO® and HBO On Demand®. HBO Latin America is a joint venture between Home Box Office, Inc. (a subsidiary of Warner Media, LLC) and Ole Communications, Inc.